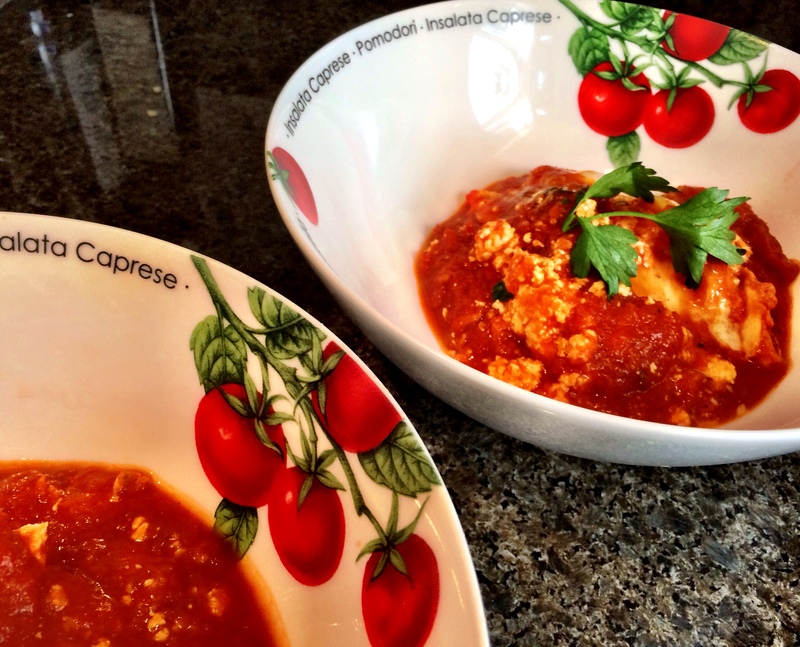 Shakshuka is a popular Israeli dish that has North African-roots. 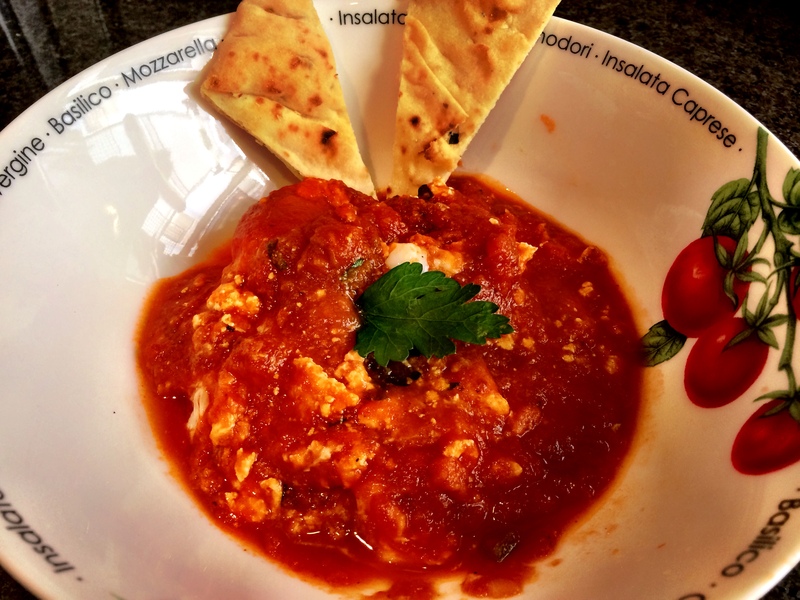 Eggs are poached in a spicy tomato sauce and served with pita. 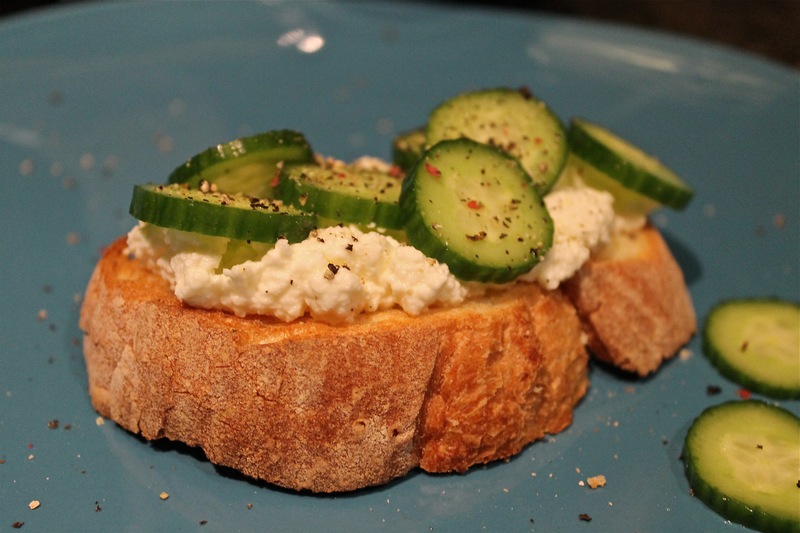 I saw some variations during my research that got creative with the vegetables and various cheeses, but overall: this is very, very easy and delightful. 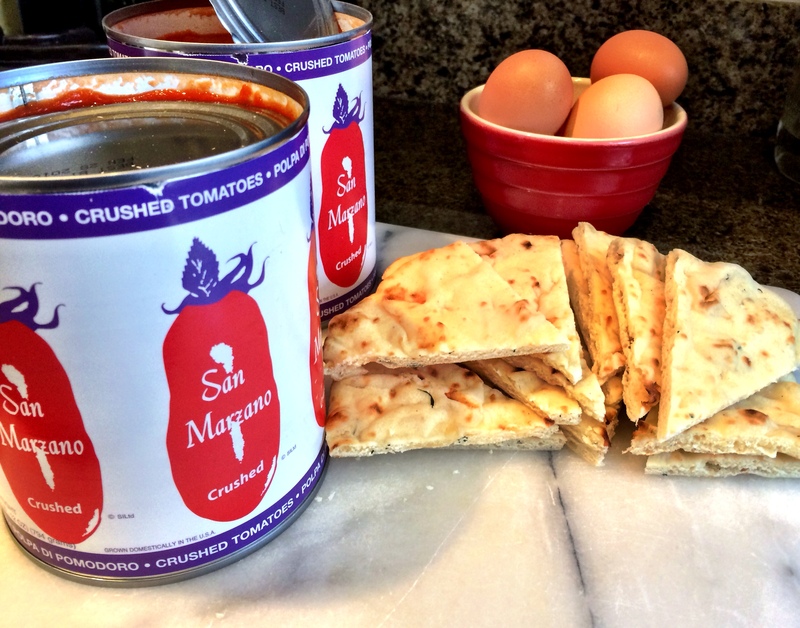 Most people have the basics on hand– canned tomatoes, eggs, onion, garlic, etc, so if you’re interested in a simple, healthy breakfast option, then I advise you to keep reading. 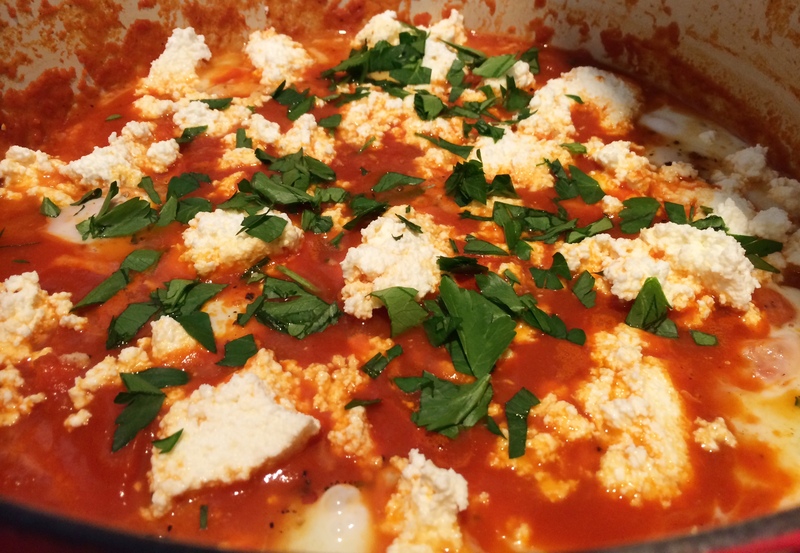 I’ve been dabbling in homemade ricotta recently and found it to work beautifully in shakshuka. Some of it sort of melted into the sauce, but big chunks remained intact and were perfect for scooping up on the bread. 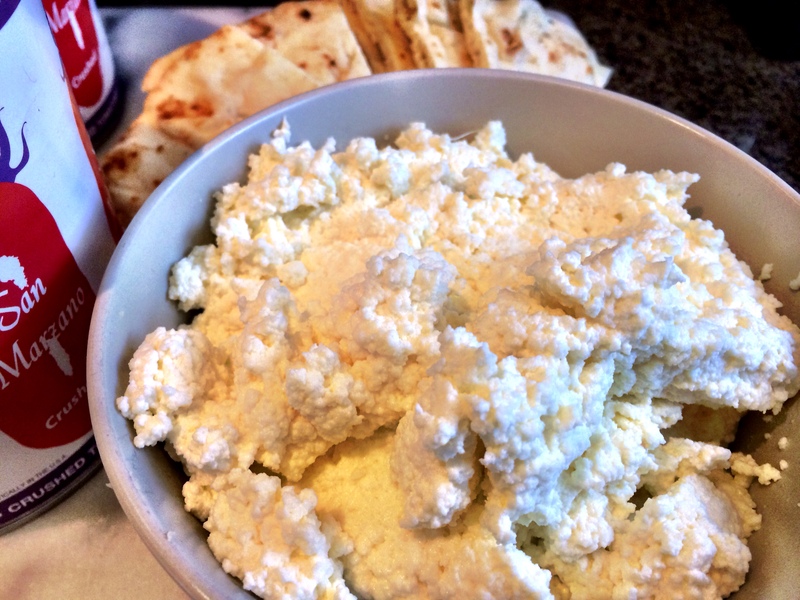 My intention was to share this batch of cheese with my neighbors, but…that isn’t going to happen. Piggie has taken over my body and won’t let the concept of generosity interfere with my cheesy feeding frenzy. 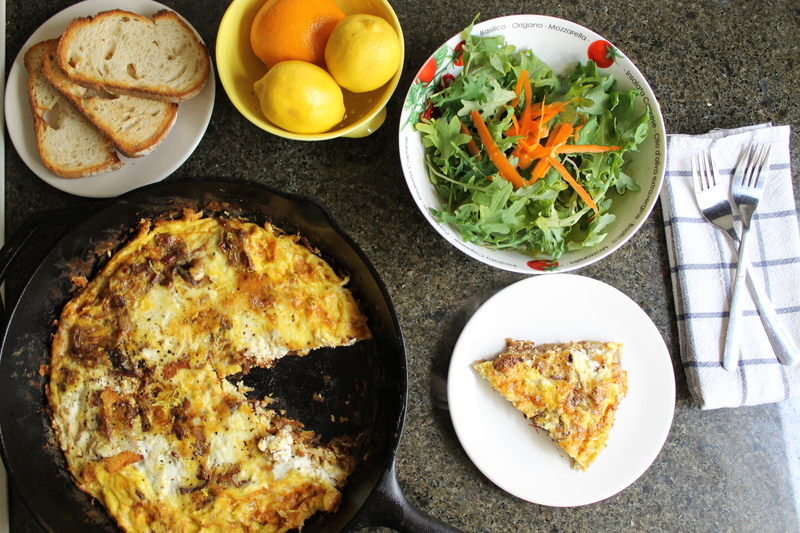 In a large cast iron skillet or dutch oven, heat the oil over medium high. When hot, add the oil. 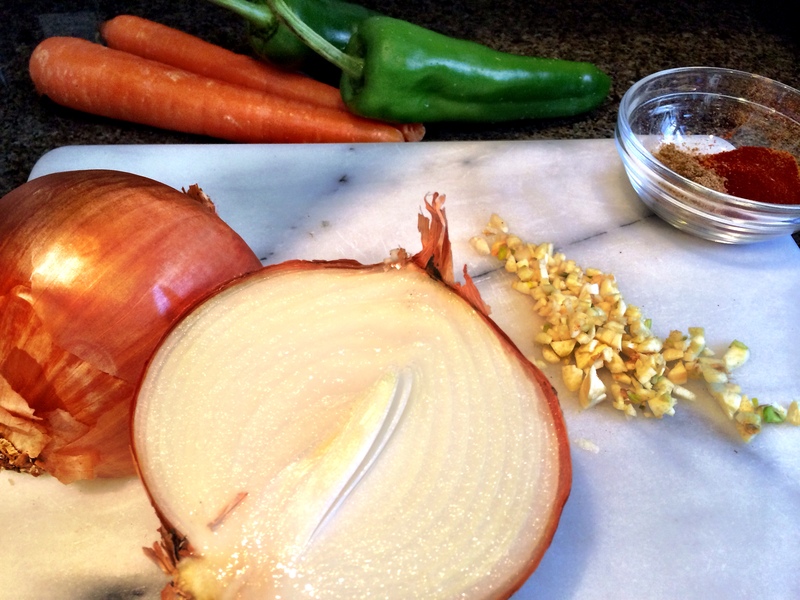 Toss in the onion, garlic, pepper, and carrot, and cook until soft, about 10 minutes. Add spices and cook until fragrant, 1-2 minutes. Add the tomato paste, crushed tomatoes, and sugar. 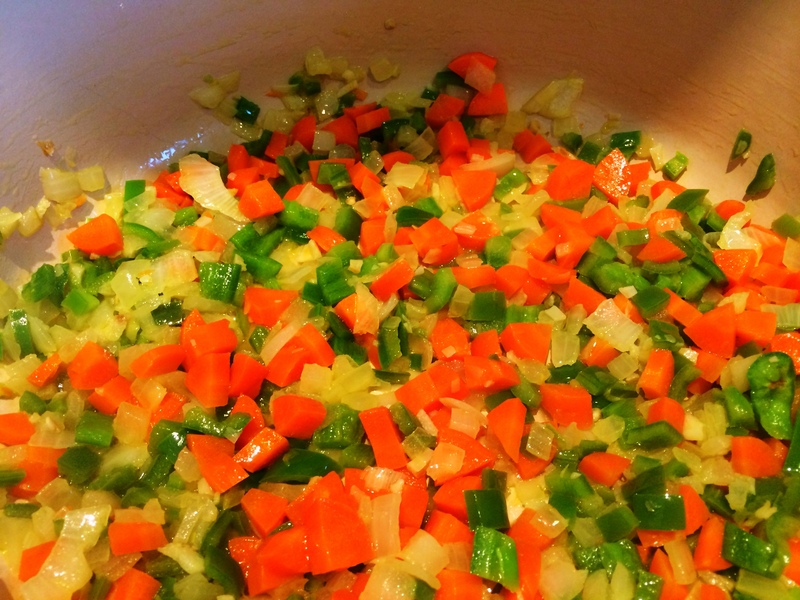 Reduce heat to low and simmer, stirring frequently, until reduced– about 10 minutes. One at a time, crack the eggs into a ladle. Push the ladle into the sauce to create a hole for the egg, turning it out into the sauce. Do this for all 7 eggs. 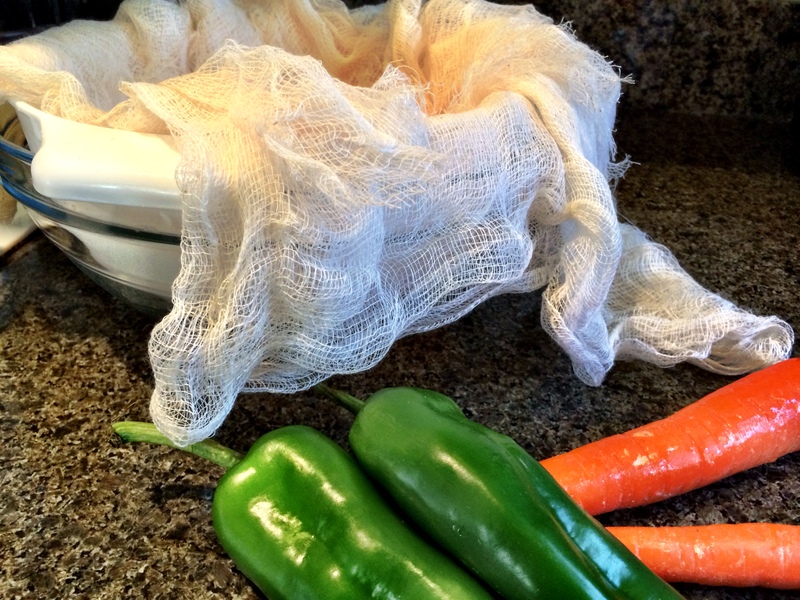 With sauce on a low simmer, cover and cook 10-15 minutes. Add cheese a few minutes before eggs are set (sprinkle over the top– don’t mix in). Eggs may be a bit soft, but they will continue to cook in the sauce. Turn off heat and sprinkle with parsley. 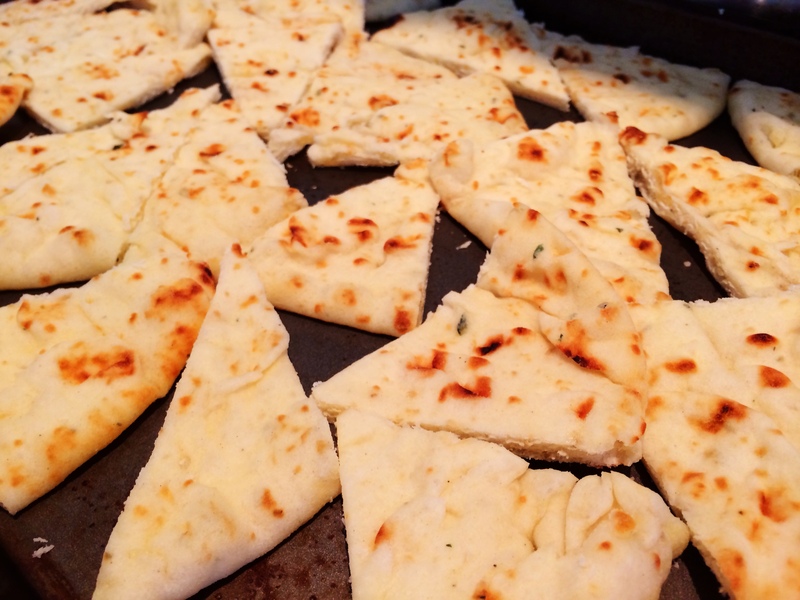 Serve with warm pita (I wanted garlic naan instead, which was great) and enjoy!